The MPSA Licensing Manual is updated for some of the key changes that have happened recently. This August 2015 document includes text on page 4 that confirms that there are no minimums when purchasing Azure consumption services through the MPSA, and there’s an extremely useful paragraph at the top of page 6 that details how the new multi-year duration options work. Essentially, certain Online Services are available to order up to the second or third Purchasing Account Anniversary and subsequent orders of the same service need to align to the original multi-year order, but are eligible for best price protection too. Get the document here: http://bit.ly/1QfuR3U. August 2015 is the first month that the Online Services Terms document is released on a monthly schedule. There are few changes from the July 2015 document and page 3 of the document has a good summary of the amendments: Advanced Threat Protection is added, Power BI for Office 365 changes its name to Power BI Pro, and there are some slight changes to various terms, the most notable of which is the “Disclosure of Customer Data” section which describes Microsoft’s approach to third party requests for Customer Data. Get the updated document here: http://bit.ly/MSvlterms. 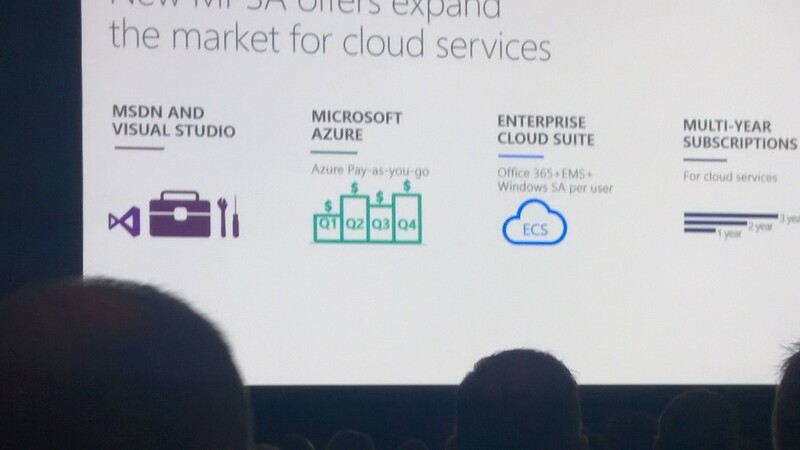 Microsoft announce the September changes to the MPSA at the Worldwide Partner Conference: ECS arrives, and there are new multi-year Online Services subscriptions. Starting in August 2015, the Online Services Terms (OST) document will be updated monthly. Get the document here: http://bit.ly/MSvlterms. If you want to know what Online Services are included in which plans then this table on page 25 of the January 2015 Online Services Terms document is jolly useful. You can see, for example, which plans include Yammer Enterprise (K1 but none of the Government offerings) or Parature Enterprise (CRM Online Enterprise). Get the document here: http://bit.ly/MSpur. The January 2015 Online Services Terms document is re-issued: if you found you couldn’t click anywhere in the document then this is now fixed. http://bit.ly/MSpur.